I've always been a candle person. 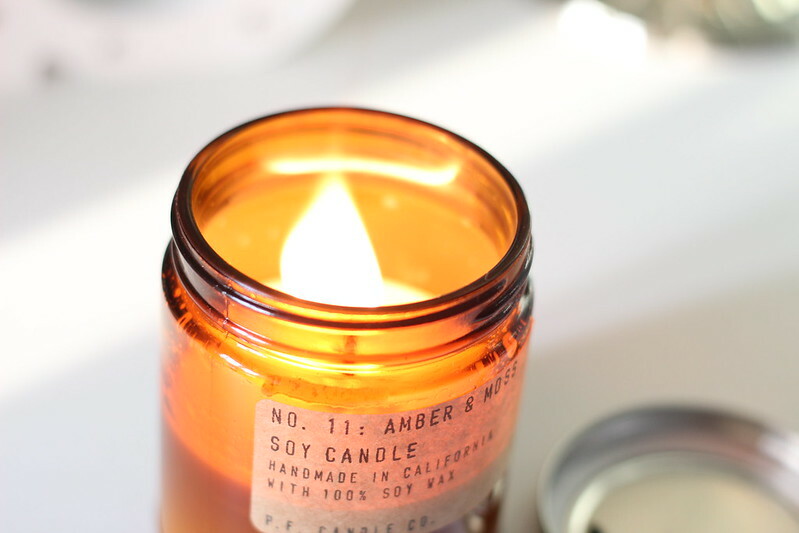 I find something so relaxing about the half light that a candle creates; it really takes the stress off of my eyes and allows me to completely unwind after a stressful day. 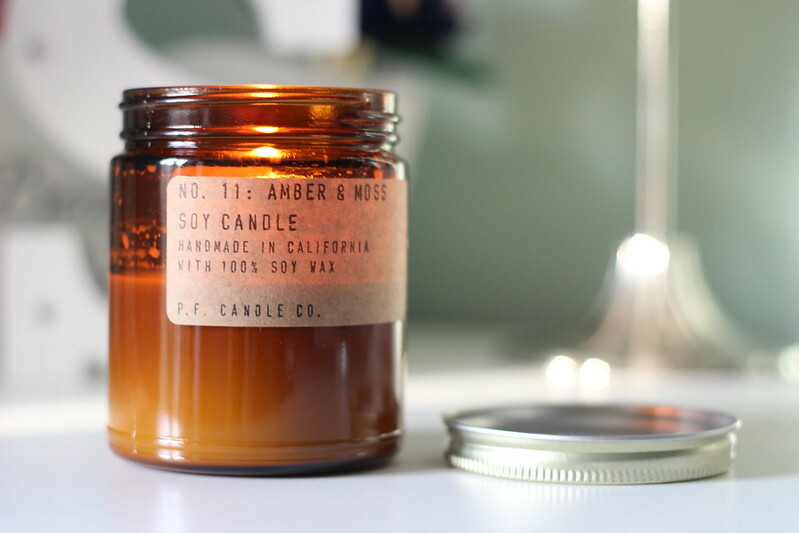 This candle from P.F Candle Co is by far my favourite at the moment. 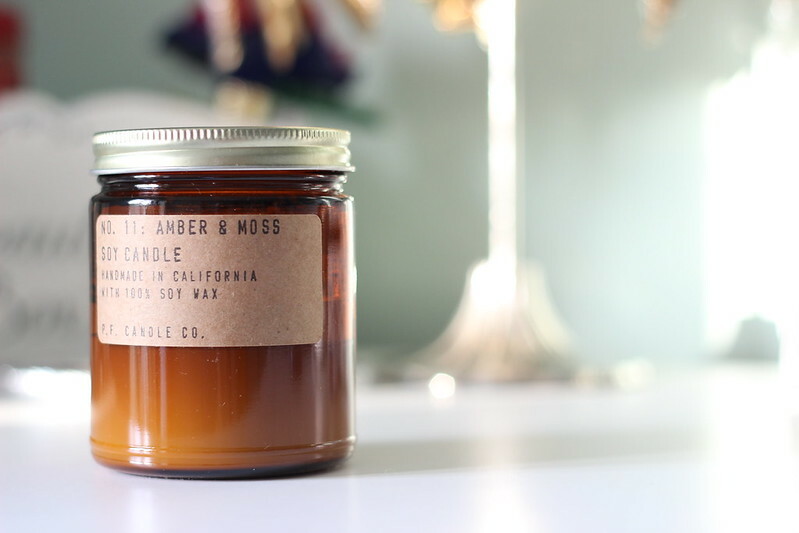 The scent is called Amber & Moss which I would describe as neutral and fresh with slightly masculine undertones. It reminds me of a really expensive aftershave but with a real warm, homey feel. It's so hard to explain scents but trust me when I say it's gorgeous! The candle itself burns well and manages to project the scent throughout the whole of our house which I think it's pretty good going! It also takes ages to burn down; I've had this for a good month or so now and I've burnt it most evenings during the week. The packaging is right up my street too; simple and rustic. It can fit in so well with any home style and has the ability to blend in and be inconspicuous; exactly what you want from something that by nature is supposed to blend in with your home decor. Price wise they are reasonable; you're looking at £18 a candle from Earl of East London who ship in the UK and are super friendly! They sent me my candle in a cute little package with a lovely note recommending another scent I might like from the range. Such a nice touch. 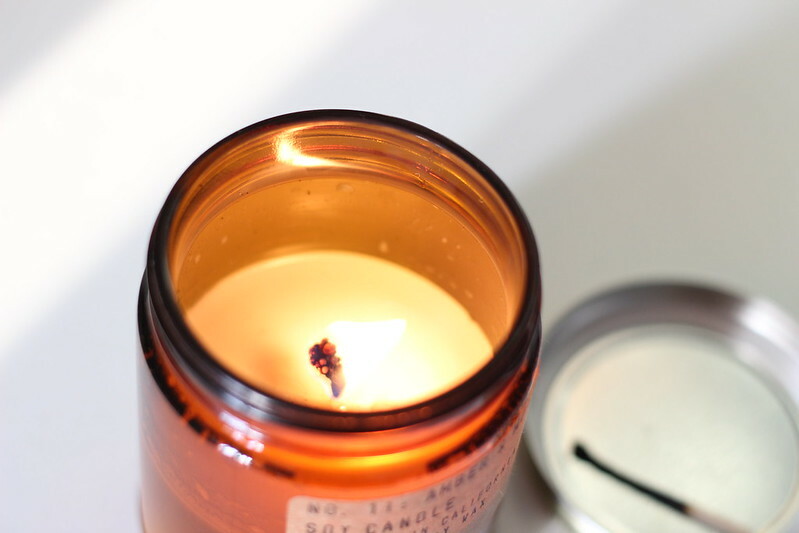 They also do candle subscriptions which I am seriously considering at the moment! You can pay a monthly or up front fee for a certain amount of time and you get a candle a month! Great idea for a birthday present I think. 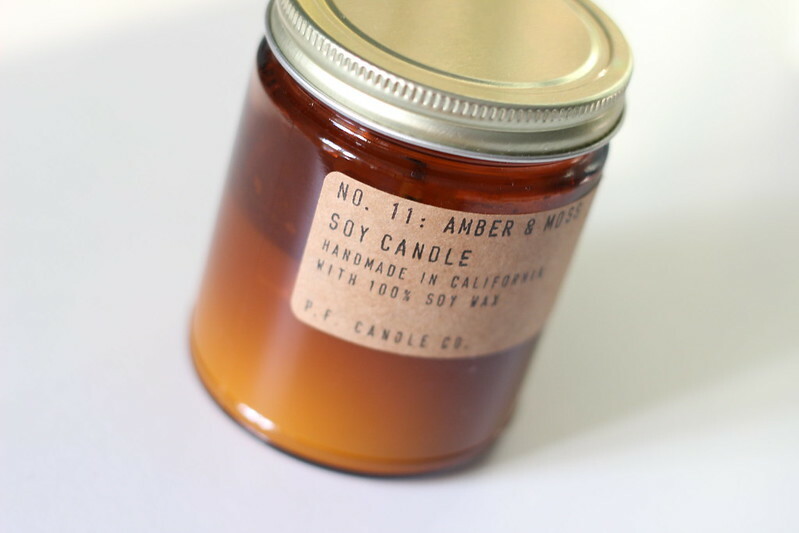 Have any of you guys tried the P.F Candle Co candles? And if so what did you think? Did you have a favourite scent from their range?